Drooping of the eyebrows and wrinkling of the forehead can make patients appear older and less energetic than they feel. 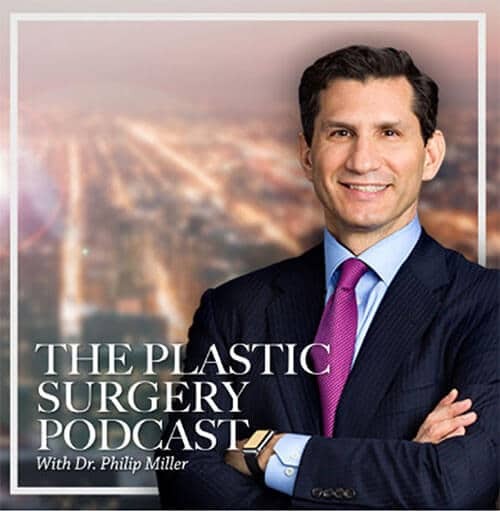 In order to help patients regain the youthful look they once had, Dr. Philip Miller, a double board-certified facial plastic surgeon in New York, NY, performs the brow lift procedure. The eyes are one of the most telling features of the face. Attention is drawn away from them when the eyelids are hooded and the forehead is wrinkled due to a falling or dropping brow. This can make patients appear tired, old, and/or angry. To combat this, a brow lift procedure can be performed. Men and women who have the height of their eyebrow slightly increased as a result of a brow lift appear younger and more alert and energetic. The incision is then closed. Typical procedure time is approximately two hours. Patients generally return home the day of surgery after the effects of surgical anesthesia and medications have worn off. While there is very little swelling and bruising, there may be numbness in the forehead and scalp and it may feel funny to raise the eyebrows. Patients are usually allowed to return to work ten days after surgery and return to routine activities and exercise in three weeks. Patients may look anywhere from five to ten years younger. The procedure is generally performed on healthy, nonsmoking adults who have realistic expectations and a positive mindset. A question and answer session are also held. During this time, Dr. Miller patiently listens and thoroughly answers all questions and addresses any concerns. Q: Are there risks associated with a brow lift? A: As with all surgical procedures, there are risks associated with a brow lift, including but not limited to the following: infection, bleeding, loss of hair, skin numbness and itching, and surgical anesthesia side effects. These risks will be explained by Dr. Miller at your initial consultation. Q: Will I have a scar after my procedure? Will it be noticeable? A: Scars always form after a surgical incision; however, the scar from a brow lift is generally unnoticeable because the incision is carefully placed and well concealed within the hairline. Q: Can a brow lift be combined with other procedures? The goal of combining procedures is to more thoroughly rejuvenate the facial appearance. A: Patients typically see maximum results approximately 6-8-weeks after surgery. Q: Is it important to have my procedure performed by a specialist? A: Because most facial specialists perform brow lift procedures on a routine basis, they typically are the most qualified surgeons to perform the procedure. Their expert training, knowledge, and skill set helps to provide patients with the best results. 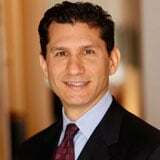 Q: Are plastic surgeons the only physicians who can perform brow lifts? A: Plastic surgeons are the only physicians who can perform brow lifts. When searching for a plastic surgeon, always look for one that is board certified. Q: Does a brow lift make men look feminine? A: The natural position of the male eyebrow is slightly lower than that of the female. Taking this into account, Dr. Miller takes special care to make his male patients look great without elevating the eyebrows too much. Q: Are brow lifts performed to help patients with vision problems? A: Patients, usually males, may develop blurry vision because of a sagging or drooping brow. When indicated, a brow lift may be performed to improve vision by raising the brow and opening the eyes. Q: Does hair loss occur after a brow lift? A: There is a small chance that hair loss may occur after a brow lift. In almost all cases, the positive outcomes of a brow lift far outweigh the chance that hair loss may occur. 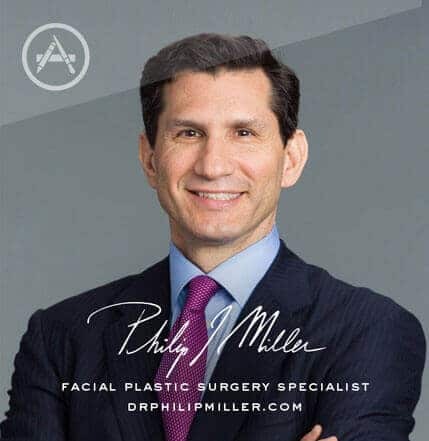 Q: Will Dr. Miller take before and after photos? 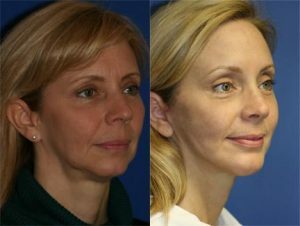 A: Dr. Miller takes before and after photos so his patients can compare them and see their results. 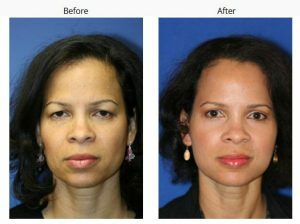 Q: Can I see some before and after photos of some of Dr. Miller’s patients? A: Yes, of course! Before and after photos are a great way to show you what you can expect after surgery. Dr. Miller has a long list of satisfied patients and will be able to show you which ones you most closely resemble to help you visualize your own potential results. Q: Are there ways to maximize my results? Getting an adequate amount of sleep is also recommended, as fatigue is one of the main reasons why wrinkles may redevelop. Q: Will smoking affect my results? A: Smoking negatively affects the body’s healing processes. Patients who want results are advised not to smoke after surgery. Q: How do I determine if I am a candidate? A: The best way to determine If you are a candidate is to schedule an initial consultation with Dr. Miller in New York. Your condition, medical history, and goals and expectations will be taken into account when determining if a brow lift is the right procedure for you. Q: What should I bring to my initial consultation? Patients who want to bring photos for comparison purposes may do so. A: Dr. Miller specializes in brow lifts and other facial plastic surgery procedures. When you are ready to make an appointment with him at his office in New York, NY, please call (646) 791-3025 or send us an email.